For those couples looking to wed in the beautiful Devonshire countryside, Upton Barn & Walled Garden has a very special offer, in its ‘End of Wedding Season Sale’. If you pay in full at the time of booking, you’ll get 10% off the cost of venue hire, giving you extra left over in your budget to make your wedding really special. Nestled in the glorious Mid-Devon countryside, Upton Barn & Walled Garden is a unique blend of traditional and contemporary architecture with four spaces that flow seamlessly from one to another. Having recently completed the final renovations of the Tack Room, it joins the Cider Barn and Press Bar, two stunning rooms overlooking the garden. 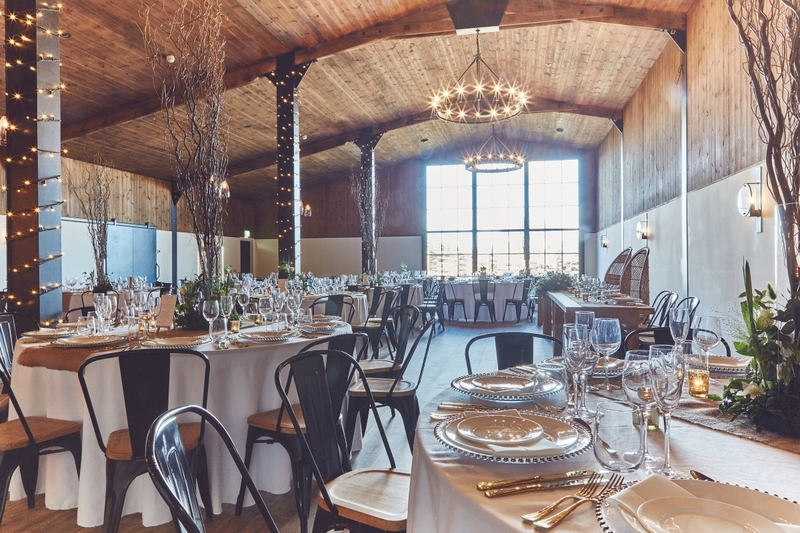 And completing the venue is the new, architecturally inspired Stable Barn. With its striking lighting, warm timber interiors, well-stocked bar, glorious views across the paddocks and seating for up to 156, it’s perfect for a wedding breakfast. The space is now entirely and exclusively yours for a dreamy wedding, with captivating views across the fields to the Blackdown Hills. Plus, the beautiful venue is also thrilled to be a Regional Finalist in the 2019 Wedding Industry Awards South West – for Best Countryside Venue! So you really couldn’t pick a more idyllic location for your rustic and resplendent wedding. 10% discount applies if you pay in full at the time of booking. Not available on already confirmed bookings. Cannot be used in conjunction with any other offer.